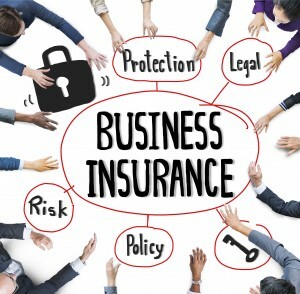 Do You Need Insurance for Your Business? There are as many types of businesses as there are insurance policies that we can write for one. Of course, getting a ten minute quote is awesome! We’re all grown-ups. We have jobs, kids, bills and errands to run. But the biggest problem with a “quick, fast and in a hurry” quote is that your needs may not be met. For example where is your office? Do you work from home or do you go in every morning? Do your customers come into your office? Think about your employees if you have any, and if you don’t then that’s another issue to consider, but do your employees come into your office as well? This office, do you rent it or own it? These are just a few issues to consider and they all only involve your office! Here at Paula Smith’s Farmers Insurance we offer coverage to a large variety of small business owners. I love animals, so does Farmers and therefore we offer coverage to Veterinarians. We also offer coverage to medical offices that includes coverage for refrigerated medical supplies. If you own a restaurant or a small delicatessen then some insurance companies may charge you for separate liquor liability policy. But here at Farmers liquor liability is included in your restaurant policy! For restaurant packages we also offer an 8 hour business interruption period for our utility services coverage, whereas most insurance companies have a mandatory 72 hour waiting period. In addition to the above, all of our small business policies have options where you can add on Employers liability coverage and cyber liability coverage. And here at Paula Smith Farmers Insurance we offer multiple line discounts for companies that need to be insured in multiple areas, such as business auto and workers compensation. If you aren’t sure what you need, and we can completely understand that, don’t worry, we will ask you the right questions to drill down the needed types of coverage you may need and explain how they work. So, contact Paula Smith Insurance at (281) 488-8880 for your free, no obligation, no hassle quote and protect all of your business assets today! Don’t forget, we offer a full line of coverage for your personal insurance needs!